Trip Type : Cultural, Historical, Wildlife. Highlights : Qutab Minar, Humayuns Tomb, Lotus Temple, India Gate,Red Fort, Jama Masjid, Bikaner fort, Meharangarh Fort, City Palace. See Taj Mahal. Home to the world famous Great Indian Thar Desert, Rajasthan calls tourists from all over the world in heaps to explore its Sam Sand Dunes. Our tour package, Rajasthan Camel Safari, will let you explore the culturally rich state of Rajasthan by taking up Camel Safari. 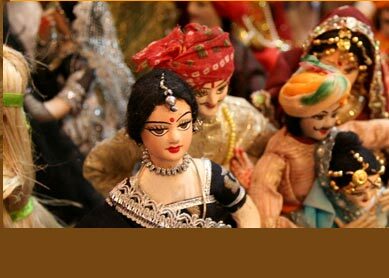 The 10 days tour guarantees you a wonderful exploration of Rajasthan. And extensive Camel Safari included in this tour will definitely act as the best way for you to explore the desert regions of India. Day 1: Delhi. Arrive in evening. You will be transferred to the hotel by our representative. Overnight stay at hotel. Day 2: Delhi-Bikaner. After breakfast, drive to Bikaner (400 km), and reach by evening. Take rest in evening at hotel. Day 3: Bikaner-Kakku. 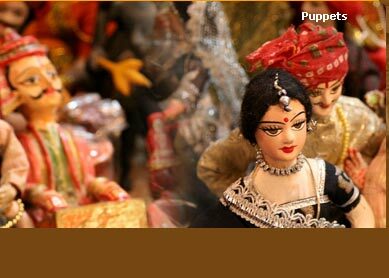 Take half-day sightseeing of historical city of Bikaner. Visit Bikaner Fort, and other forts and Havelis. Afternoon, drive to village Kakku. Tented accommodations will be ready here to shelter you overnight. Day 4: Kakku-Sobhana. After breakfast, start Camel Safari with packed lunch and water bottles. Reach Sobhana in evening, and spend overnight at tent. Day 7: Jaisalmer-Jodhpur. Take half-day sightseeing of Jaisalmer. Visit famous Jaisalmer Fort, Havelis and Jain Temples. Later, drive to Jodhpur, and reach there in evening. Stay overnight at hotel. Day 8: Jodhpur-Jaipur. Visit its popular tourists like magnificent Mehrangarh Fort, Umaid Bhawan Palace and Jaswant Thada. Afternoon, drive to Jaipur, the capital of Rajasthan, known as The Pink City Of India. Stay overnight at hotel after reaching here. Day 9: Jaipur-Delhi. Start you sightseeing of Jaipur early in morning. Visit its famous tourist spots  Hawa Mahal, Jantar Mantar, City Palace and Amer Fort. Afternoon, enjoy shopping at its famous shopping centres. Later, drive to Delhi. Reach Delhi in night, and check into hotel. Day 10: Delhi. Take half-day sightseeing of national capital and historical city, Delhi. Visit Red Fort, Jama Masjid, Chandni Chowk and Raj Ghat and India Gate. In evening, according to your flight schedule, you will be transferred to the airport to return your desired destination. Camel Safari is the best way to discover the world famous Great Indian Thar Desert. 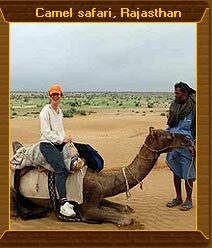 And this tour gives you ample of opportunity to get on camel back, and explore the golden sand world of Rajasthan. Equip yourself with with packed lunch and water bottles, and got on camels back with your companion, and explore the sand land. Two full day camel ride and two night camping in pervading yellow desert land fetches you a unique way to spend your vacation. See numerous of Rajasthani villages en route, and visit its many of havelis and temples giving you a perfect close-up with rich Rajasthani culture and tradition. Moreover, visit to some of the most famous Rajasthani tourist cities like Jaipur, Jodhpur and Jaisalmer keep your vacationing joy enriched. These places will give you a wonderful opportunity to explore all of its historical monuments and cultural spots.